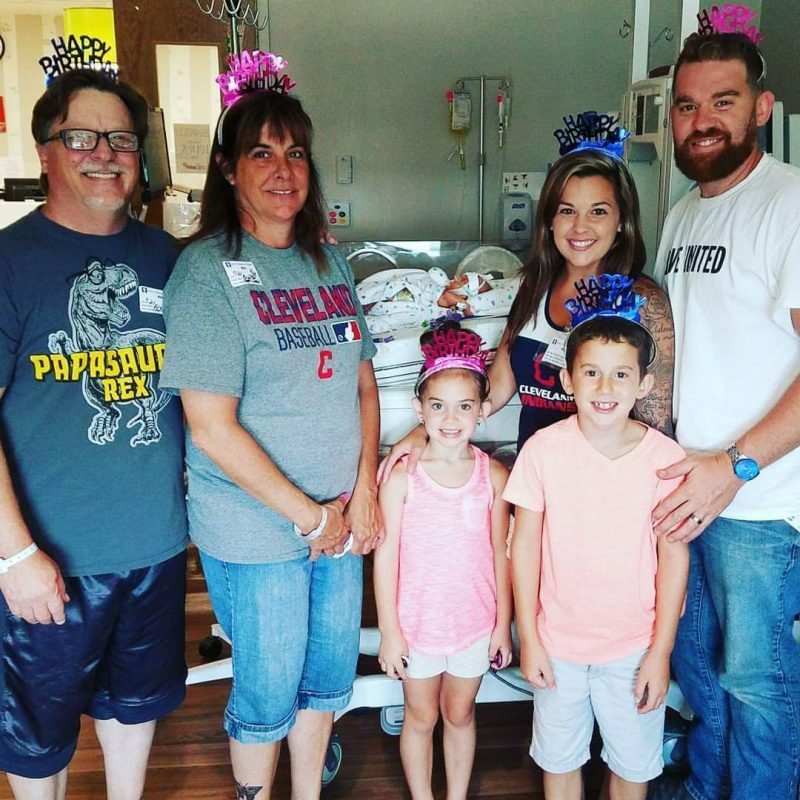 Brantley was born 3 months early at Aultman Hospital, but was transferred to Akron Children’s after 2 weeks when symptoms of NEC (necrotizing enterocolitis) began requiring surgery. 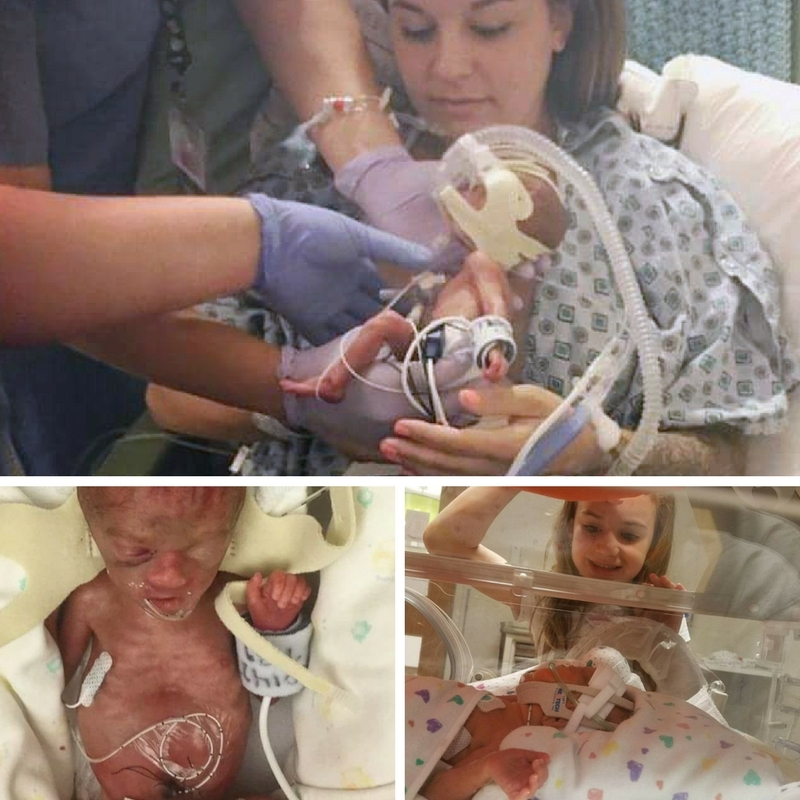 Despite a perfect pregnancy, Brittany Morse’s little bundle of joy was born 16 weeks early at just 1 pound and 11 ounces. It’s been a long road full of surgeries and prayers the last 6 months in the neonatal intensive care unit (NICU), but baby Brantley is making big strides and his parents are so thankful for others near them. Brittany is dedicated to cuddling with Brantley everyday despite the distance from their home and challenges of caring for older children. Brantley is 6 months old and now weighs more than 9 pounds, but his medical team is unsure when he’ll be going home, Brittany said. Dr. Scott Boulanger has removed parts of his bowel, and Dr. Nancy Hanna is treating Brantley for stage 3 retinopathy of prematurity (ROP), which gives him a 50% chance of going blind. “Right now, he’s still recovering from a 3rd stomach surgery from NEC (necrotizing enterocolitis), so there are concerns with feeding… We are being patient. He’s our miracle, rainbow pregnancy,” Brittany added with optimism about her small but mighty warrior. 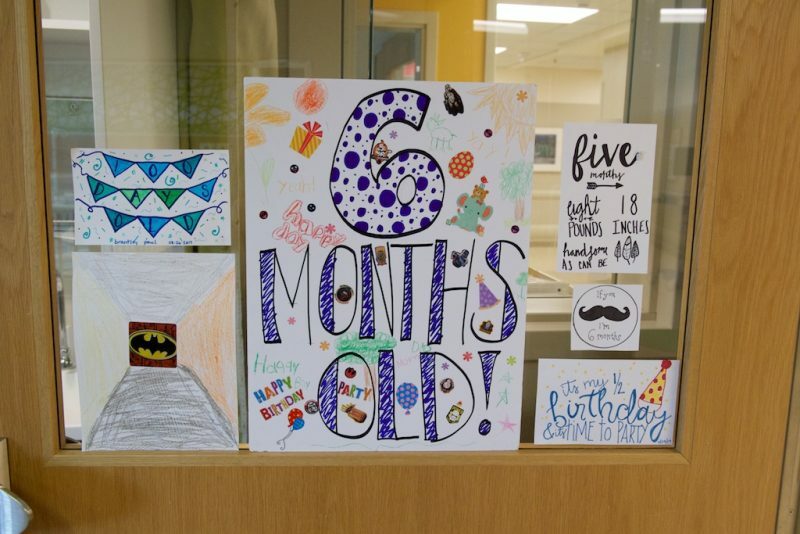 The door to Brantley’s room features artwork from his siblings–Jacob, 8, and Maddie, 6–and nurses. 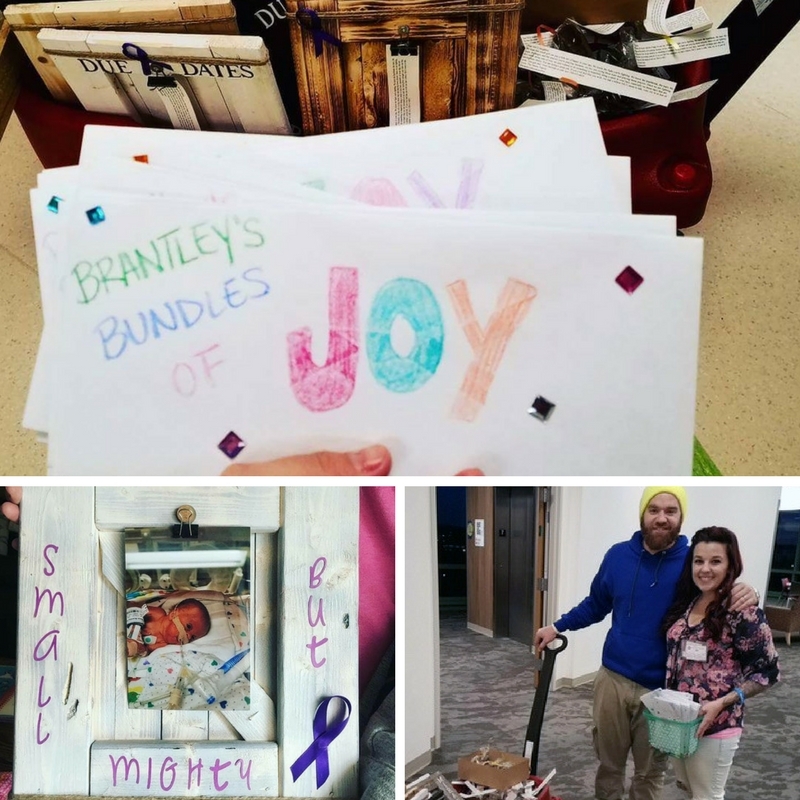 Brittany and Steve plan to continue spreading love in the NICU through “Brantley’s Bundles of Joy” as they receive donations from friends and fellow church members at High Mill Church of the Resurrection in Canton. Big sister Maddie wanted her 6th birthday party at the hospital so Brantley could be there.